This little lad (lassie?) must have a story to tell. 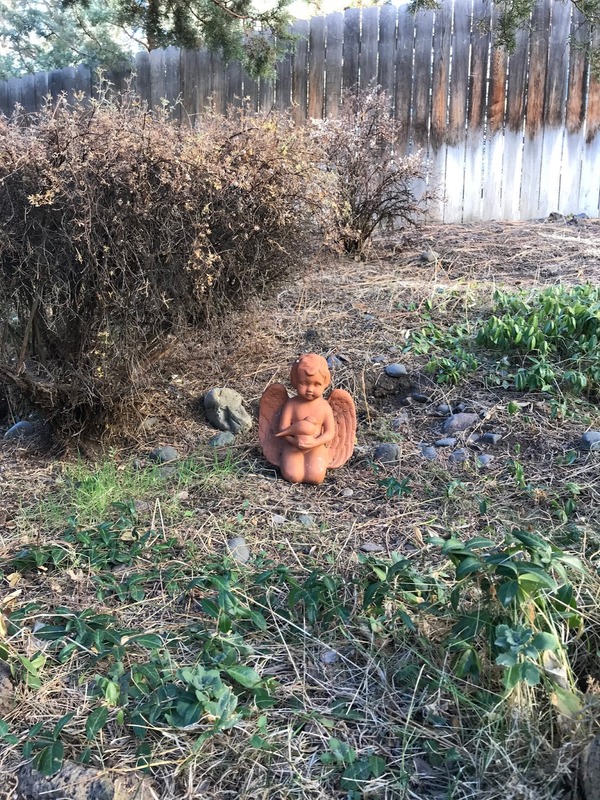 This cherub was toppled on its side when we looked at the house and when we moved in. At some point, the little person decided to sit upright. I don't know if one of the dogs ran past and bumped it, but perhaps the cherub is happy that we are here and fixing things. Speaking of fixing things, remember last week I mentioned that we were replacing mismatched knobs with matching aged bronze handles? Well, the fact that they were mismatched was only part of the problem. 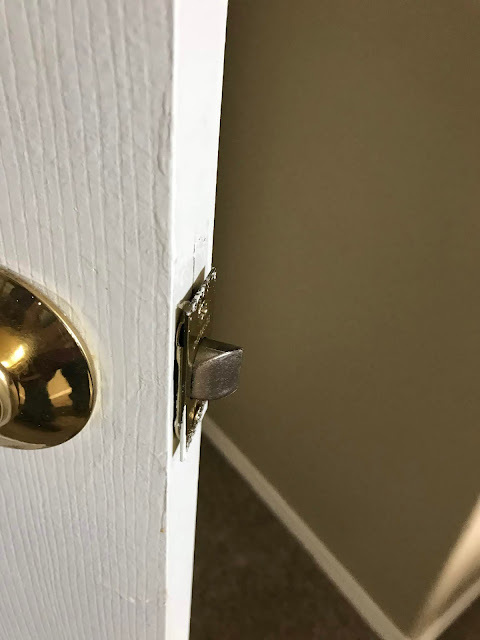 Some of the doors didn't close properly because the latch plates were just slapped on over the door edge and the old hardware. DH had to use a chisel to carve out the space needed for the new latch plates. All the inside doors and the front and back doors are done. The hardware on the door leading outside from the garage still needs replacing. 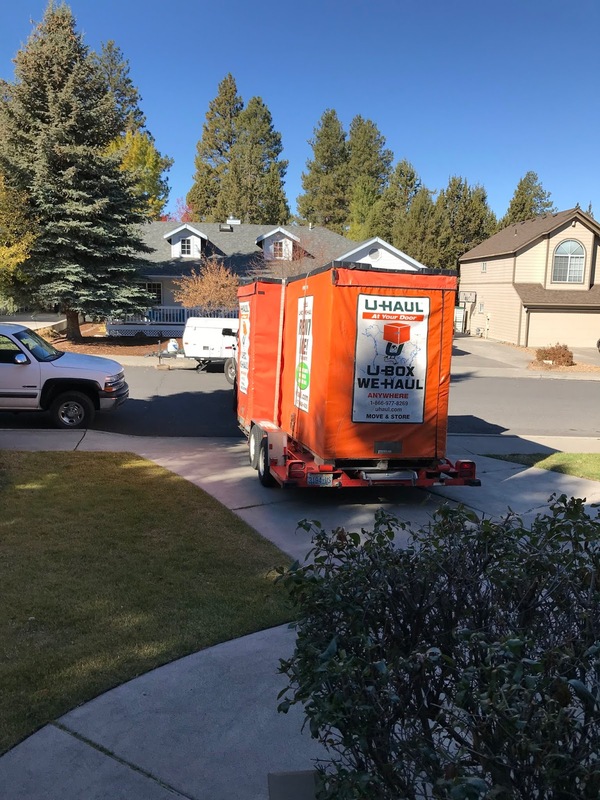 The big event of the week was the arrival in Redmond, Oregon, of our U-haul boxes on Saturday. Strangely enough, they first told us it would cost us nearly $1K to have our boxes delivered to Bend from Redmond. 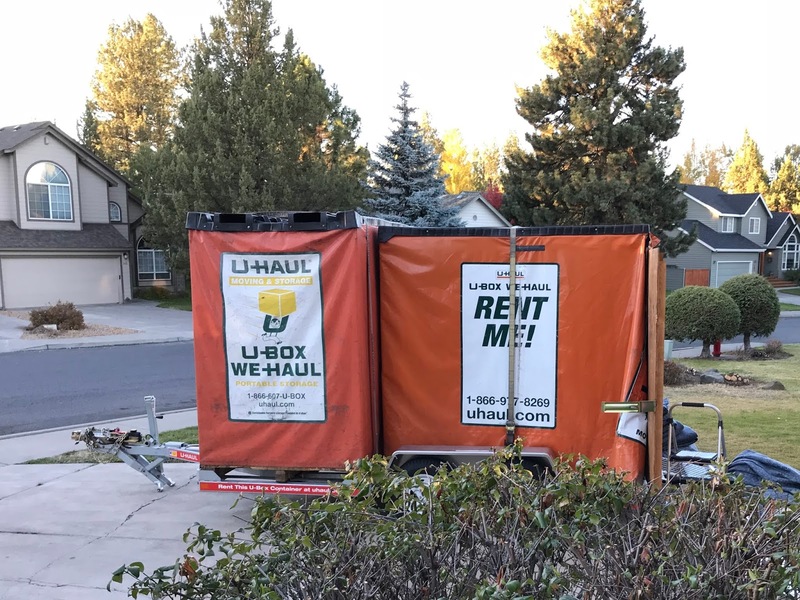 However, when we had decided to make four trips to Redmond to pick up the boxes on trailers (with our pickup), bring them back to unload and then take the empty boxes back, they suddenly had a way they could provide that service for half that. Our first two boxes arrived Saturday late morning. The driver expertly backed them into the driveway, enough on one side that he could put the other two next to them when he came to pick up the first two (by then, empty). Which he did. 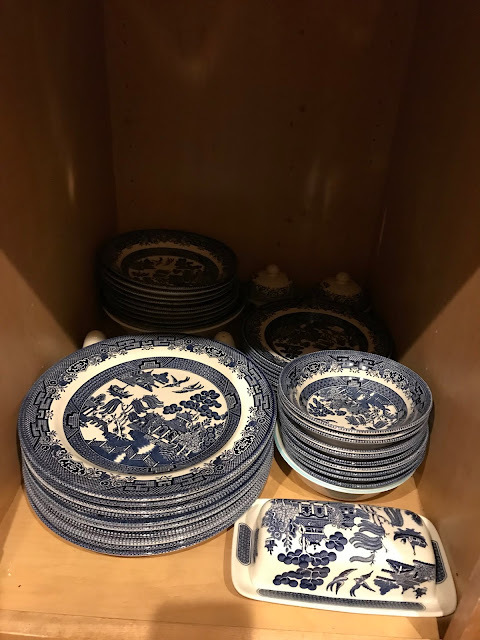 Oh, the treasures we found within! The most exciting discovery was our long-lost-and-lamented "parts box," where we had stashed all our screws, shelf supports, keys (!) to the padlocks on our "vaults" with United Van Lines and (most important to DH) all the remotes. 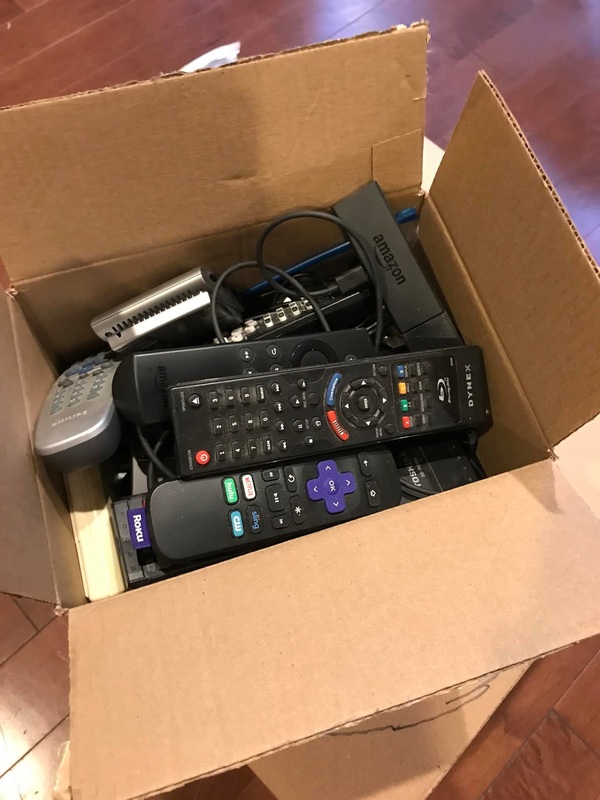 I was sure it was somewhere, and DH was sure the whole box had been thrown away or picked up by Jose and taken to the dump. It was packed away in another box labeled "to keep." My Featherweight was in one of the first boxes out of the U-haul box, along with a couple of chairs. All those boxes where I had packed fat quarters on the bottom and yarn on top, so they wouldn't be too heavy (in hopes that someone would transport them to my new fiber studio), showed up. I removed the yarn to shopping bags I could lift easily, left the fabric in the boxes, and carried the stuff up the stairs piecemeal (by me). Alister was released from his box on Saturday. 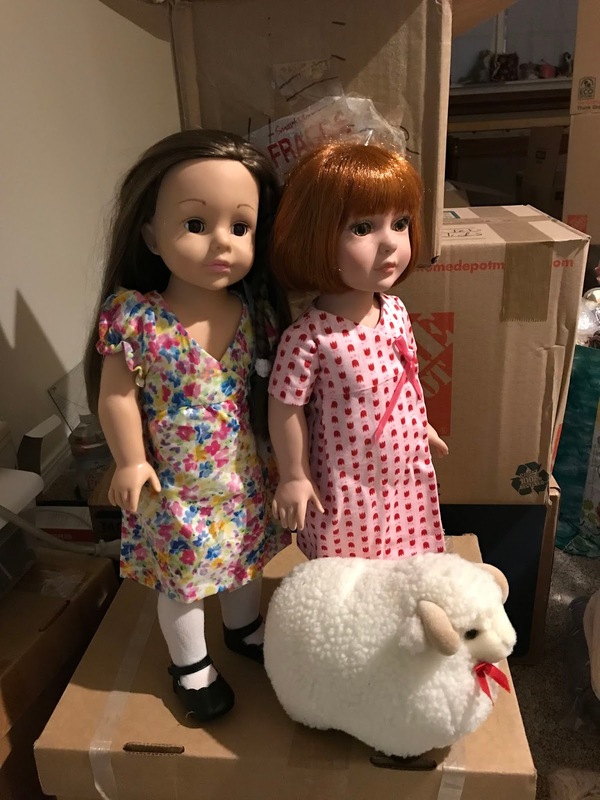 Dolly and Gabi turned up on Sunday afternoon, none the worse for wear. 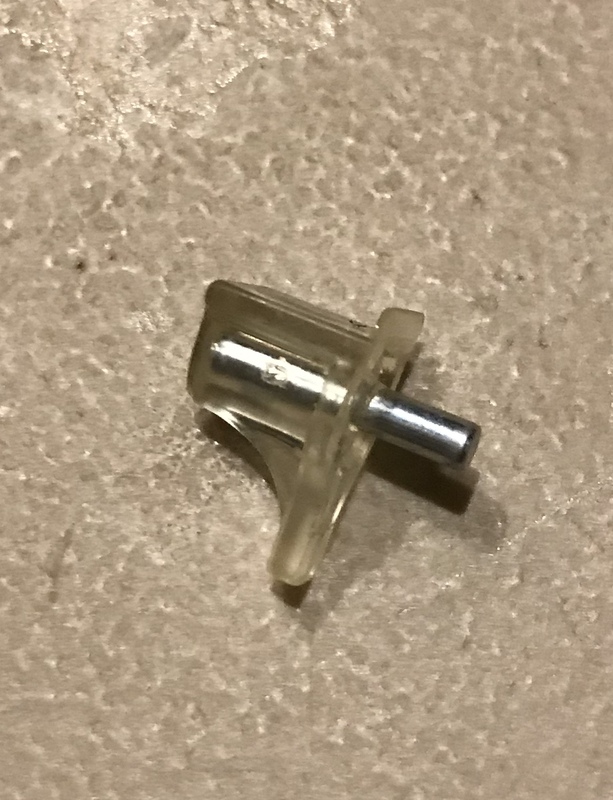 The loom parts were in the last of the four U-haul boxes. All the pieces are in the fiber studio alcove except the castle (main body). It will be a bigger job to get that up the stairs. We may have to get help. The second pair of empty boxes get picked up today. Our furniture is on its way. They now say about October 26th. That should give us time to try to clear the garage enough to make room for more stuff. It went quickly, but I ran out of the Knit Picks Telemark "Persimmon" while I was working on the hat. Fortunately, I had a remnant of the same yarn in "Curry," left over from Mandy's Cabbagetown Jacket. The color is close, and the shading is rather attractive, I think. Mariah is holding all that's left of the "Persimmon" in her right hand and all that's left of the "Curry" in her left. If I had used another yarn, l would likely have had plenty. Telemark is a very dense yarn, and there aren't as many yards in a 50g ball. It's a good choice, though, because it has lovely stitch definition. The Gotz group on Ravelry is having a KAL using this specific pattern. If you finish it and post it in the group with a link to your project page, you get another pattern from the same designer for free and get entered in a drawing for four patterns. The KAL runs through the end of November. I still would like to add a "stem" to the top of the hat, so it would be sort of a pumpkin costume. One of the Billy Cabinets has been put together and fastened to the wall. Here's what it looked like in an empty room. I can work this week on putting the fabrics into this cabinet. 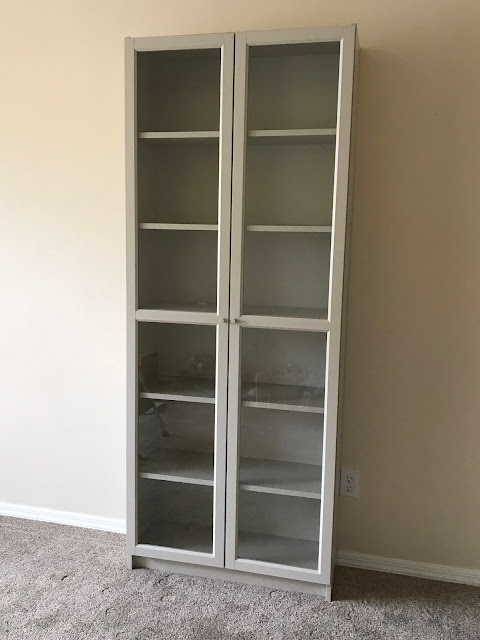 When it's full, I should have enough space for us to work on putting together the second cabinet. I'm hoping all the fabric and most of the yarn will fit. If not, there will be "Plan B." I'm determined that my fiber fun will be contained in this one room, at least for supplies, the loom and my sewing machines. One or two of my "little people" will follow me around in the house and into the yard at times, depending on what I'm working on, and my spinning wheel will be in the family room or living room, most likely. The struggle with the bits and pieces of the house continue to be an issue. I think Master Houdini Wannabe Jellyfingers must have eaten or removed and hidden most of the shelf-support pegs for the shelves in the kitchen and laundry room cabinets. Of course, they aren't the standard kind sold everywhere. I used my needle gauge to determine that they are 3mm, not the typical 5mm. We have been using the Corelle dinnerware from the trailer (and sheets, towels and other stuff). I'm gathering up all the trailer stuff and will be putting it back as "house" replacements become available. Wednesday night was choir practice, my first at Trinity Episcopal Church in Bend. They are meeting at 6:15 to practice for a special service at the beginning of Advent, finishing with practice for the regular upcoming Sunday service until 8:00 PM. Everyone was very welcoming, and I think the music at the service on Sunday went well. I think the church is a good fit. They have a stitching group that meets twice a month, where you can come and bring your project(s) to work on. There is a prayer-shawl ministry and people are asked to help provide lap quilts for people affected by natural disasters. I love that children are encouraged to be present during the service, but at the same time have packets of coloring projects to keep them busy. How much I would have appreciated that when I was a child! I think the house will be a good fit, too. It has presented some challenges, but that may only enhance its charm eventually. And it's so nice not to have to wait for someone chop wood for the fireplace or put another log on! 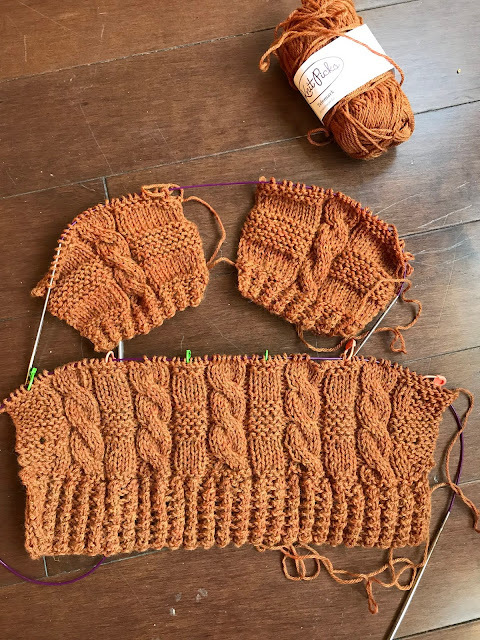 What's on my needles: The Kisu Cardigan and the Coastal Skies Shawl are still in holding, but I finished the Cable Sweater Dress Set from Jacknitss. Just making a stem for the hat. What's on my Sparrow 15: Still sitting in my future fiber studio. My Featherweight is now there, too. 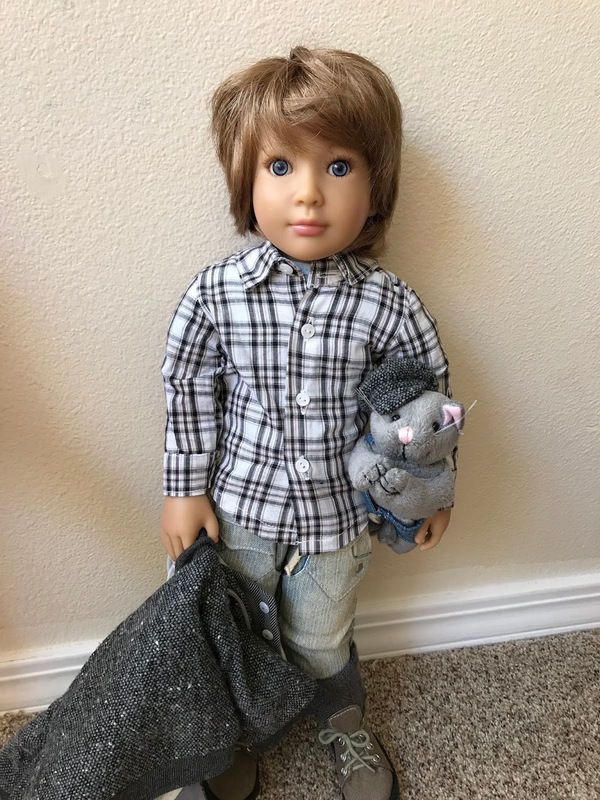 What's in The Doll's Storybook: Here's Friday's story, "Stars." I'm scheduled through October 19th. I'm hoping for a Halloween theme for October 26th. What's on my iPad/iPhone: Finished The Innkeeper of Ivy Hill by Julie Klassen. Now listening to the sequel, The Ladies of Ivy Cottage. 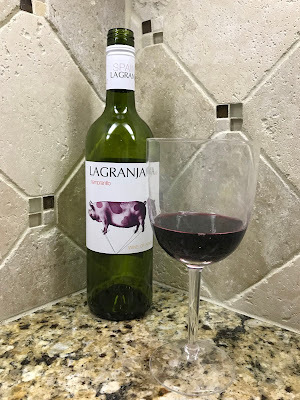 What's in my wine glass: LAGRANJA 360 Tempranillo. “A magic place in the South where the sun never sets, where it’s always summer, and exquisite aromas of ever-found fruits and flowers fill the shiny rooms of a magic farm.” How can a vegan-friendly wine have a pig on the label? We found it very nice, though. It's one I would like again. What's my tip of the week: Be kind to people who are different from you. They may be just as anxious about you as you are about them. 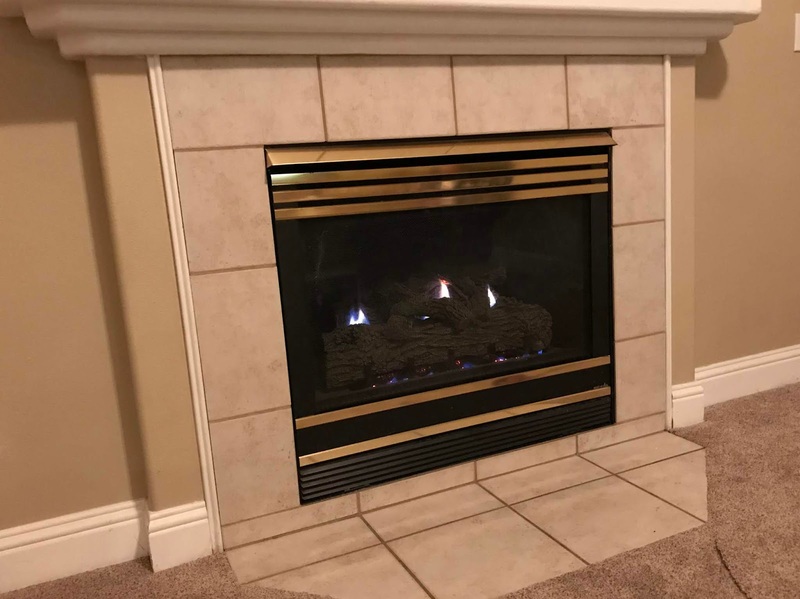 It's great that you now have so many of your personal items to add to the house. Soon it will be filled with personality and qualify as "home". Pam, I'm not so optimistic! We have so many things to do yet, and we don't even have our major shipment, with our bed, tables, more chairs and bookcases. 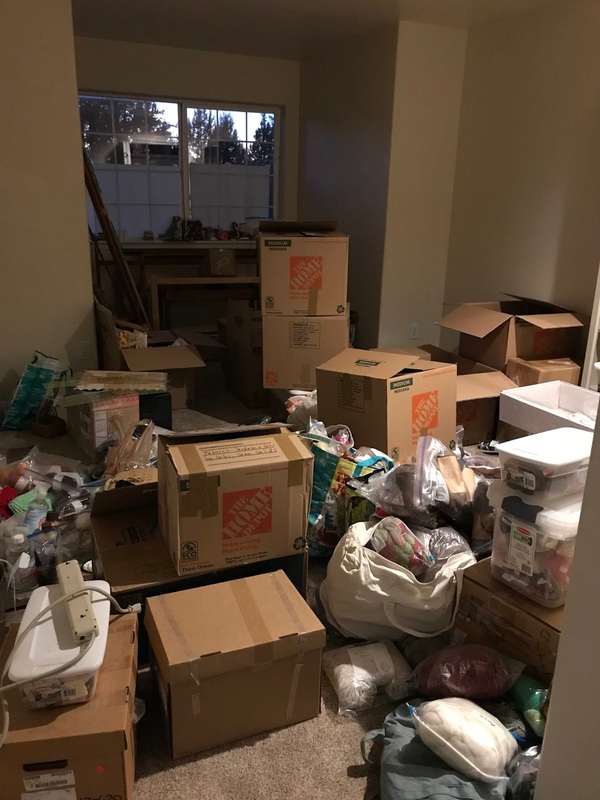 Then we'll have to put all that stuff back together, put clothes away and find more storage solutions to take care of the excess stuff we had plenty of room for in the old place. Just think, everything will be clean and organized before the holidays! Joanna, yes, and I got the boxes in my fiber studio unpacked today and sort of organized. I can't do too much more until the other two Billy Bookcases are put together. Janet, it will definitely be behind me, one way or another! Soon this will all be behind you. Glad your in and unpacking,,I remember so well...Hope you find everything.! It looks like you are settling in just fine. Good news about the "parts" box.